Jeff Sessions was one of the most well known conservative members of the US Senate. Upon his confirmation by the Senate for US Attorney General, Sessions formally resigned from the Senate. Alabama Governor Robert Bentley (R) quickly appointed Alabama Attorney General Luther Strange to fill Sessions Senate seat. Strange is known for holding many of the same conservative views held by Sessions and is expected to be a long term member of the Senate. It has been nearly 20 years since there has been an open U.S. Senate seat in Alabama. And it could be another 20 years before one is open again. On the same day that Alabama Republican Jeff Sessions was sworn in as U.S. attorney general, Alabama Gov. 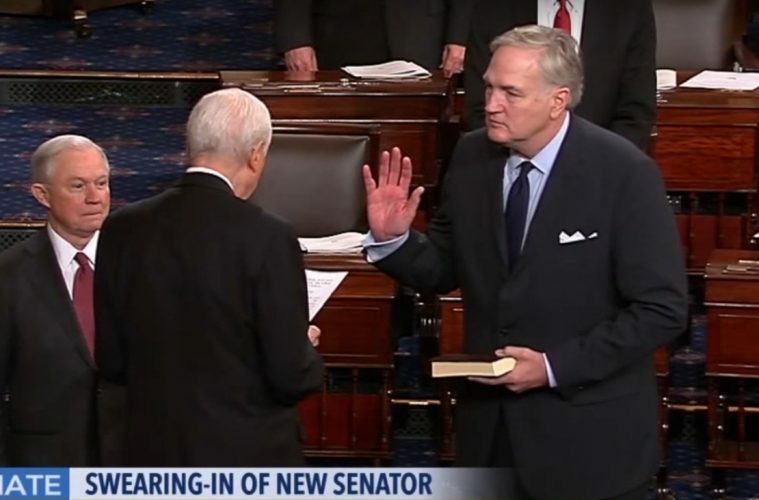 Robert Bentley (R) appointed one of the state’s most-watched Republican politicians to fill Sessions’s now-vacant U.S. Senate seat: Luther Strange. Strange, the sitting Alabama attorney general, has been groomed for this job for decades, insiders say, and if he can win election in 2018, he could hold it for decades to come. But, it’s Alabama, so there’s always political intrigue afoot. In appointing Strange, 63, to the Senate on Thursday, Bentley has in some ways appointed his political foe. And that has put the embattled governor on the defensive back home.